, an English lady, celebrated for personal accomplishments, and her elegant writings both inverse and prose, was the daughter of Mr. Waiter Singer, a dissenting minister, and born at Ilchester in | Somersetshire, Sept. 11, 1674. 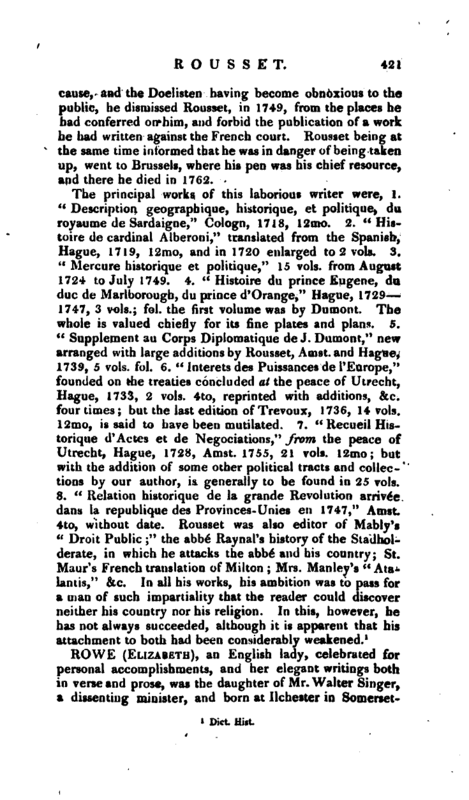 Her father was possessed of a competent estate near Frome in that county, whhere he lived; but, being imprisoned at Ilchester for nonconformity, married and settled in that town. 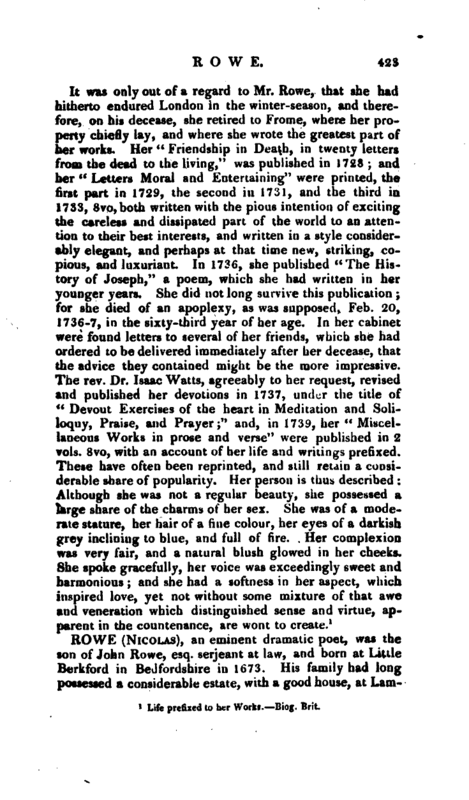 The daughter, whose talents in other respects appeared very early, began to write verses at twelve years of age. She was also fond of the sister-arts, music and painting; and her father was at the expence of a master, to instruct her in the latter. She was also early accustomed to devout exercises, in which her mind was sincere, ardent, and unconstrained: and this habit, which grew naturally from constitution, was also powerfully confirmed by education and example. She was early acquainted with the pious bishop Ken, who had a very high opinion of her: and, at his request, wrote her paraphrase on the 38th chapter of Job. 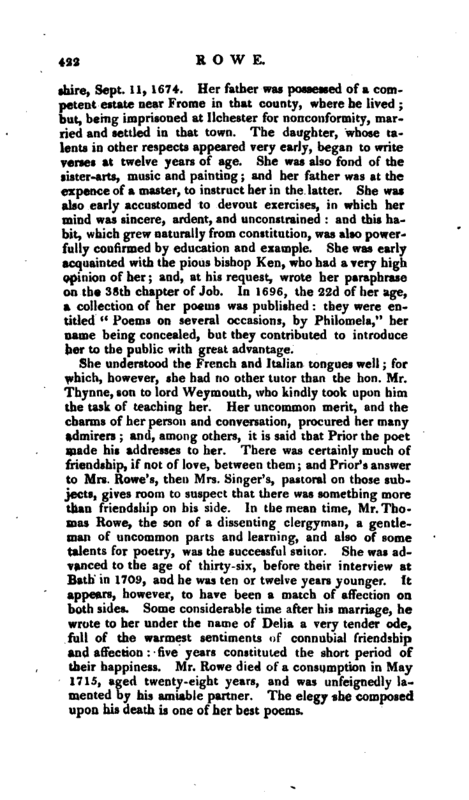 In 1696, the 22d of her age, a collection of her poems was published: they were entitled “Poems on several occasions, by Philomela,” her name being concealed, but they contributed to introduce her to the public with great advantage. Life prefixed to her Works. Biog. Brit.